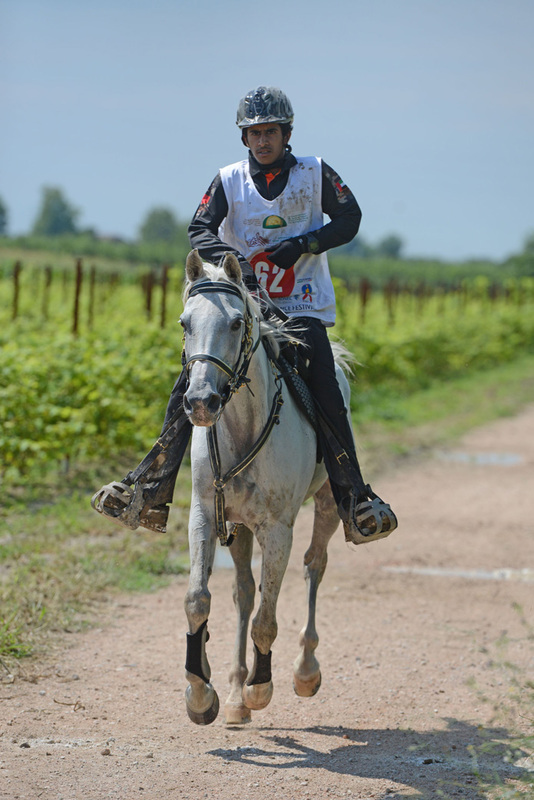 On the 26 and 27 July the Parc di Poncello in the Verone province hosted four events of the 2014 Italia Endurance Festival which were all sponsored by the HH Sheikh Mansoor bin Zayed Al Nahyan Festival. The first day was reserved for an event over 126 km, CEIO** open to lady riders, which was won by the Emirati rider Afra Khalifa Al Suaidi on the ten-year-old Purebred Arabian Rigervum Drifter from Etihad Stables. Runner-up was the Bahrein rider Sheikha Najla bint Salman Al Khalifa on the nine-year-old Arabian Salahdin du Laurageais. The Gold medal was won by the UAE team. 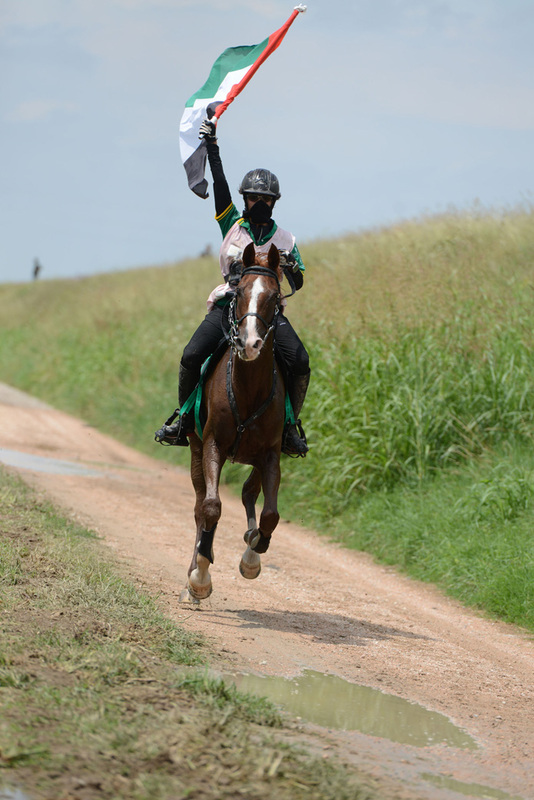 On Sunday, 28 July, the 126 km CEI**, which included an Open category and a category for young riders, as well as a 83 km CEI*, took place. The Swedish rider Annelie Eriksson and her six-year-old Arabian mare Penelope Del Mar won the final event. 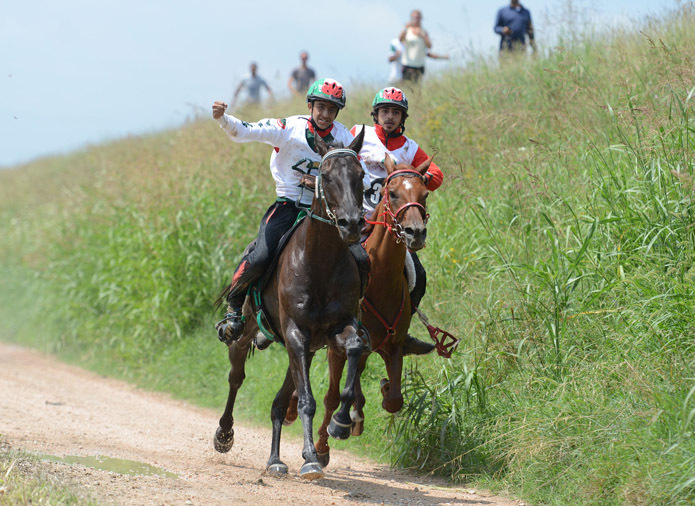 The 126 km was won in the Open category by Khalifa Ali Khalifan Al Jahouri from the UAE who was riding Vendaval, born in 2002. Khalifa is the 2014 junior World Champion. In the young riders’ category, Mohammed Matar Rashed Al Mazrooei, another Emirati, and the eleven-year-old Arabian Khedji took the honours. 54 riders took part in the CEI**, including 14 young riders. 39 rode in the 83km competition and the day before 69 girls competed in the all-female event. Khalifa Ali Khalifan Al Jahouri from UAE, on Vendaval, winner of the 126 km race, in Open category. Mohammed Matar Rashed Al Mazrooei on the eleven-year-old Purebred Arabian Khedji. They won the 126 km race, in young rider category.